The current economic situation in the U.S. is such that there are actually more open positions than people to fill them. However, when good jobs are available, they're still likely to garner a lot of interest from highly qualified professionals. As a result, while job seekers have a lot more power in today's market than they normally do, they still need to be able to stand out from the crowd. While there is a tendency among many people to be humble or downplay their accomplishments, you have to remember that you're trying to get a job by presenting yourself as the best possible option, according to the Job Network. With that in mind, you shouldn't be overly confident, but you shouldn't have an "aw shucks" attitude either; be proud of what you've done and explain clearly why that makes you ideal for the job. Along similar lines, you should try to be very clear with your interviewer or the hiring manager who will read your emails about what you bring to the table and what you want from the job, the Job Network further advised. When everyone is on the same page in this regard, there's little to no chance of either side ending up making a decision that doesn't work in their favor long term. Ask around with your personal or professional networks to see if you know anyone who works at the company or has a relationship with the hiring manager, according to Future of Business. Getting someone to say something as simple as, "I heard (your name here) applied for this job. That would be a great hire!" 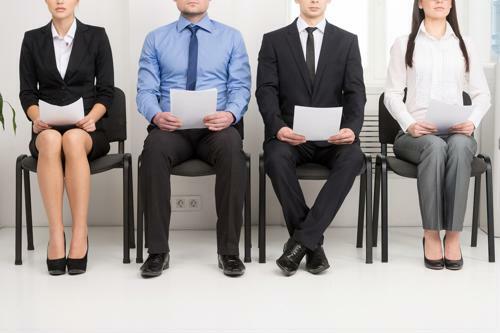 could go a long way toward getting you over the initial screening process, and through the door for an interview. You never know when a job opportunity could present itself, especially if you're not being particularly proactive about looking, Future of Business noted. Especially in a searchers' market, headhunting becomes more common. If a company contacts you offering you the chance for an interview or even a direct hire, you need to have a resume up to date and at the ready. If you may be interested in a new job, but not actively looking, having a great web presence can help get your name out there, according to Job Hunt. That means at least having a LinkedIn profile that looks good and is loaded with the latest information about your professional status and accomplishments. In some professions it might also help to have a personal website that also highlights your professional bona fides. When you're going in to interview for a job, it helps to know a bit about the company and the position, Job Hunt added. Those firms are likely to talk to a lot of similarly qualified people, so having a little "insider" knowledge could help you get an edge by showing off just why you're such a great fit.